Carcassonne 20km (plus 4 others within 1 hour) or TGV to Narbonne (Paris in 4.5 hours). A self-contained apartment (own entrance) with breakfast included. 1 apartment comprising 1 double bedroom, large en-suite shower room, large lounge with double-bed settee, kitchenette and private terrace with table and chairs. All bookings are exclusive. You will be the only guests and can have as much or as little TLC as you want. Breakfast available, lunches and evening meals to order. Range of pre-cooked frozen meals and homemade cakes also available. Six eating places within 2km of the door. Shop, butcher and baker in the same radius. Bar with outside seating area at the bottom of the road. Outdoor pool, TV, radio, CD/DVD player, computer, library, evening meals by the pool, honesty bar. Hosted by on-site British naturist couple Ted & Hun (The Buns) and set in the foothills of the Montagne Noire. 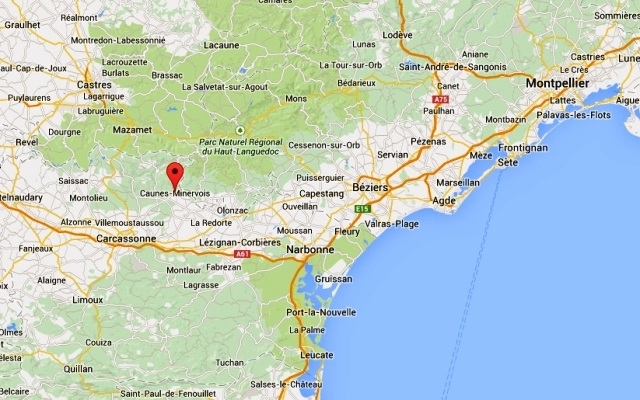 1km from the village of Caunes-Minervois. 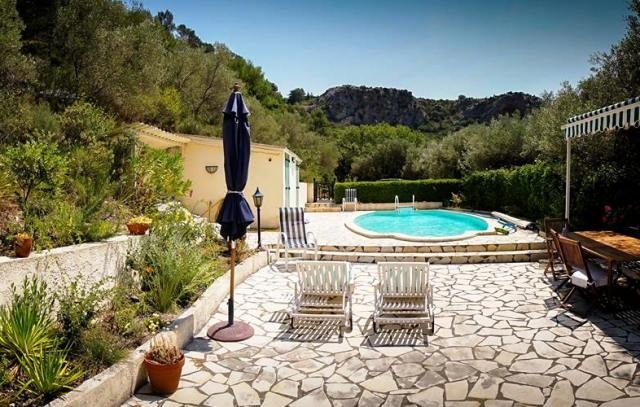 Surrounded by breathtaking scenery, L'Olivette is the place to stop, unwind and be at peace with the world or take up the challenges of cycling and walking in the hills. All the romance of Carcassonne, the Canal du Midi, a variety of lakeside watersports, the vineyards of Minervois and Corbieres, and the sandy beaches of the Mediterranean are within an easy, pleasant drive. A car is almost essential unless you just want to come and totally relax in the beautiful location, in which case airport collection is possible. L'Olivette, Avenue de la Montagne Noire, Caunes Minervois, France 11160.